Psalms is a book of prayer. It is also a book of praise and worship. The book of Psalms is also a chronicle of lament, filled with crying out to God, individually and corporately. Psalms of prayer and lament are quite common in the Book of Psalms. Some well-known psalms featuring laments are Psalms 12, 44, 60, 74, 79, 80, 85, and 90. Individual laments can be found in Psalms 3, 22, 57 and 139. These laments include individual and corporate, or communal, laments. What is a lament? A lament is a passionate expression of grief or sorrow. It is a wailing, a groaning, a moaning, and a weeping grieving great loss. In a communal lament, the people of a nation mourn a shared disaster. A modern example of that would be a catastrophic event like September 11, 2001 or the death of a past president or great leader, like the recent death of the Reverend Billy Graham. Without a doubt, suffering is universal. Sadly, all of us may not feel loved, but we all know what it is to suffer. Suffering marks the lives of Christians just as it does non-believers or people of differing faiths. Written by the Sons of Korah, Psalm 44 laments the defeat of Israel by its enemies and calls upon the Lord to deliver His people from great national suffering. The writers contend that Israel was suffering for remaining loyal to God in a world hostile to Him. As believers, this is something we can readily relate to living in a turbulent 21st century that is abandoning the ways of the God, readily proclaiming that God is dead or disputing He ever existed. Some scholars believe that that Psalm 44 may well have been the focus of a “National Day of Prayer,” like the annual event many believers observe here in the United States in early May. 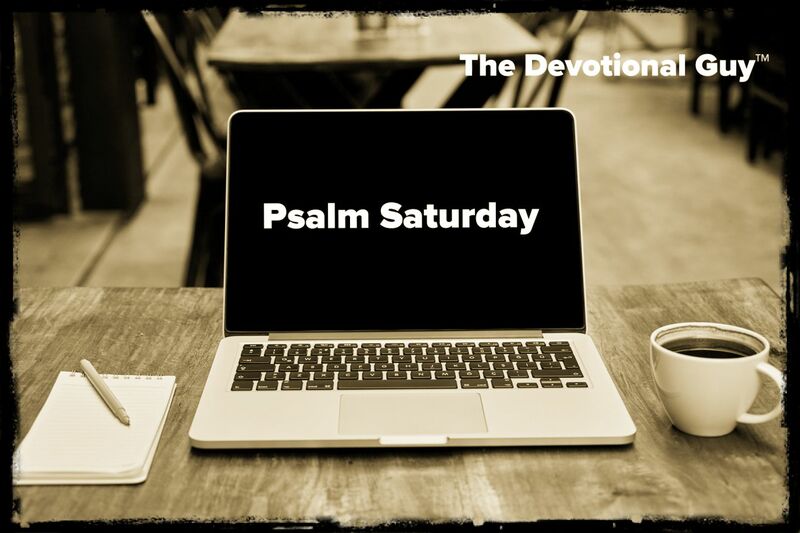 The psalm, led by a worship leader, easily lends itself to an answer and response song, with the worship leader stating or singing the I/my verses and the congregation responding back with the we/our verses. Here in Psalm 44, the psalmist cries out to God, beseeching the Lord to act on behalf of His people. He does not pull any punches. He lays it all out on the line. The writer imagines that God must be asleep and in need of waking up. After all, the Lord could not possibly be angry at His people since they had not sinned. Israel was desperate, nearing the end of the line. The writer calls on God to keep His promise to protect His people, appealing to his steadfast love. 1 We’ve been hearing about this, God, all our lives. Our fathers told us the stories their fathers told them, 2 How single-handedly you weeded out the godless from the fields and planted us, How you sent those people packing but gave us a fresh start. 3 We didn’t fight for this land; we didn’t work for it-it was a gift! You gave it, smiling as you gave it, delighting as you gave it. 4 You’re my King, O God-command victories for Jacob! 5 With your help we’ll wipe out our enemies, in your name we’ll stomp them to dust. 6 I don’t trust in weapons; my sword won’t save me – 7 But it’s you, you who saved us from the enemy; you made those who hate us lose face. 8 All day we parade God’s praise-we thank you by name over and over. 9 But now you’ve walked off and left us, you’ve disgraced us and won’t fight for us. 10 You made us turn tail and run; those who hate us have cleaned us out. 11 You delivered us as sheep to the butcher, you scattered us to the four winds. 12 You sold your people at a discount-you made nothing on the sale. 13 You made people on the street, urchins, poke fun and call us names. 14 You made us a joke among the godless, a cheap joke among the rabble. 15 Every day I’m up against it, my nose rubbed in my shame – 16 Gossip and ridicule fill the air, people out to get me crowd the street. 17 All this came down on us, and we’ve done nothing to deserve it. 18 our hearts were never false, our feet never left your path. 19 Do we deserve torture in a den of jackals? or lockup in a black hole? 20 If we had forgotten to pray to our God or made fools of ourselves with store-bought gods, 21 Wouldn’t God have figured this out? We can’t hide things from him. 22 No, you decided to make us martyrs, lambs assigned for sacrifice each day. 23 Get up, God! Are you going to sleep all day? Wake up! Don’t you care what happens to us? 24 Why do you bury your face in the pillow? Why pretend things are just fine with us? 25 And here we are-flat on our faces in the dirt, held down with a boot on our necks. 26 Get up and come to our rescue. If you love us so much, Help us! Sometimes we experience suffering for what seems like no apparent fault of our own. Suffering doesn’t always mean we are being punished or disciplined by God for some wrong-doing or failure of obedience. Like the Sons of Korah sing in this psalm, we should feel free to call upon the Lord to deliver us, just as He has promised He would do. Regardless of God’s response, or our present circumstance or situation, we continue to trust and obey the Lord, remaining faithful to Him, even in the light of great suffering. This is by no means an easy thing for us to do. It requires a supernatural strength only found in the arms of God. When we are hurting, writhing in pain, hearts broken, we can cry out to God, knowing He will hear us and help us, providing us with comfort along the difficult roads we travel on our faith journey. This is true, not only individually, but for us as a corporate body of believers, and as a nation. Photos Courtesy of Pixabay. (except where otherwise noted).